Chancellor's Blog: "Determine the thing that should be done and then we shall find the way." "Determine the thing that should be done and then we shall find the way." The title of this blog post is a quote from Abraham Lincoln that appeared on a banner on the stage of our Sangamon Auditorium yesterday as we welcomed 118 members of the IllinoisHouse of Representatives and several hundred of their colleagues, friends and family members for the swearing in of the 98th Illinois House of Representatives. 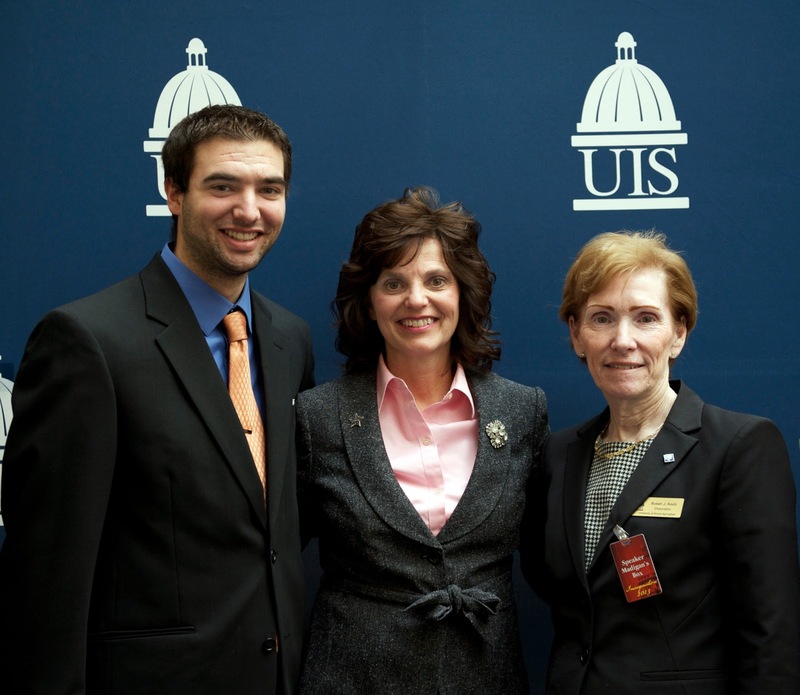 UIS is Illinois's state capital university and, with our exceptional opportunities and connections in public affairs, it only makes sense that UIS hosted this important inaugural for our state. It was even an extra special day for one UIS student. Senior Tyler Scherer was able to soak up the festivities with his mother Sue, as she took the oath of office as the new Illinois state representative for the 96th district. 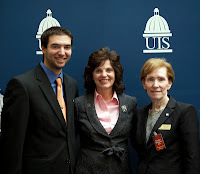 My thanks to the many UIS staff members and volunteer who did such a great job hosting this important event!